When? Friday, September 14 – Sunday, September 16 (2 nights). The 2 nights were a little rushed. We visited all of our top priority sites (Prado, Palace, etc. ), but another night would have allowed us to consider a day trip to Toledo. Where? We stayed at the Westin Palace Madrid in a Junior Suite. The hotel has an excellent location, directly opposite the Prado and a short walk from Plaza de Santa Ana, which is one of Madrid’s liveliest nightlife scenes. We only paid $90 + 4800 SPG points per night. The same room usually costs €399. Without our Starwood points, we likely would not have found the hotel to be a good value. Transportation. Central Madrid is very walkable, although there are busses and an underground subway to get around. The only time we hired a cab was for travelling from the train station to the hotel and from the hotel to the airport. Food. Madrid had an excellent tapas scene, especially around Plaza de Santa Ana. We had no problem finding a variety of options to piece together a tapas crawl. In addition to ordering the patatas bravas that are available everywhere, we also tried orejas (pig ears – pictured below), visited a pintxos bar, and sampled champiñones (sauteed mushrooms). We had one lunch on Plaza Mayor, which has a unique ambiance, but unremarkable food. Unfortunately, Kristin wasn’t feeling well during our stay in Madrid, so we weren’t able to pursue the cuisine options as aggressively as we’d hoped. Our impression was that Madrid had more to offer than any of the other Spanish cities we visited on our trip, perhaps only rivaled by Sevilla. Day Trips. None. We would have likely visited Toledo if we had more time though. Attractions. The highlight for us was the Prado. We aren’t art lovers, but we found our visit to the Prado very enjoyable. The Prado is our new favorite art museum in Europe, far surpassing the Louvre and the Uffizi. Also, it is nice that the Prado is free in the evenings, and we found the crowds to be very bearable. We also enjoyed our visit to the Madrid Palace. All of the important rooms are open to the public at the Madrid Palace, and visitors really gain an appreciation for the grandeur of Spanish royalty. 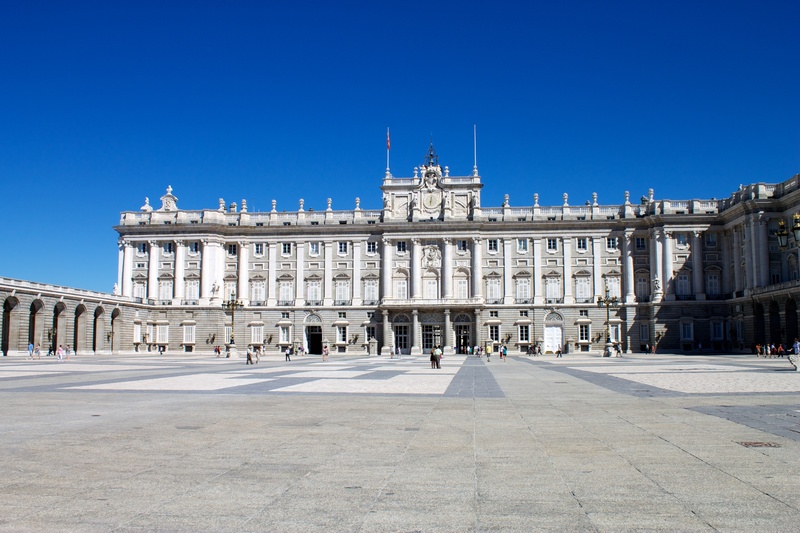 We also visited the Reina Sofia (modern art museum), Plaza Mayor, Puerta del Sol, and Retiro Park. Language Barrier. Almost everyone spoke English. We had some minor communication difficulties at a pharmacy and one of the less busy tapas bars, but overall the language barrier was very manageable. Cost. The cost of food seemed comprable to other places in Spain. 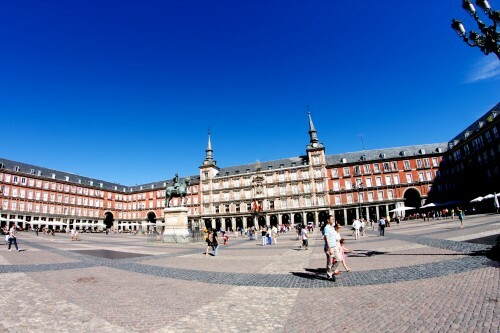 As could be expected, our meal on the Plaza Mayor was probably overpriced considering the quality of the food. Advice. Dedicate at least one night to a tapas crawl. Wonder along some of the smaller streets around Plaza de Santa Ana, to avoid some of the more crowded and touristy options. 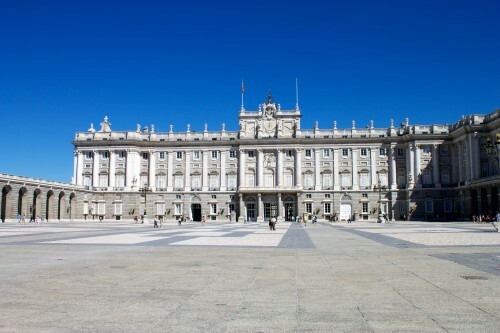 Although the Prado and the Madrid Palace are worth a visit, the cuisine scene is what really impressed us. Closing comments. 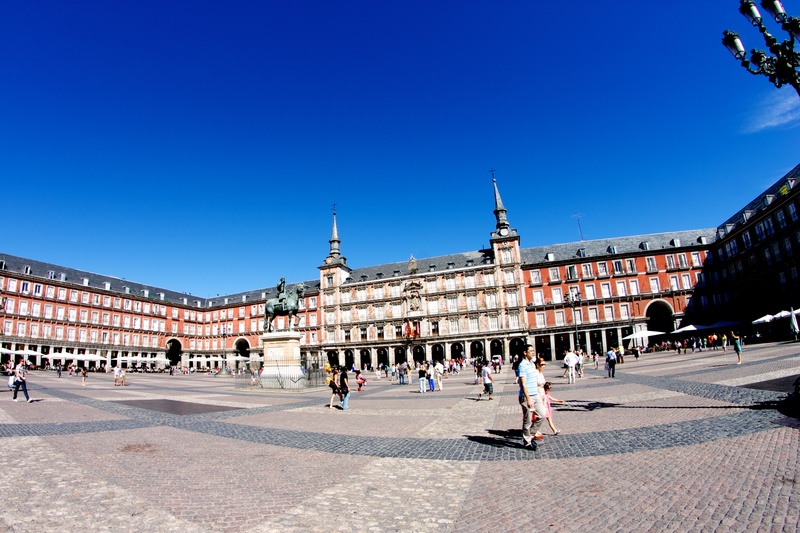 Madrid is often a focus of many travel itineraries in Spain. Appropriately so, considering its status as the nation’s capital. However, it is a relatively young city and lacks some of the history and tradition found in other European cities. We would prioritize a stop in Andalucía above Madrid if time is limited, but still believe Madrid is worth at least two nights if time permits. This entry was posted in City Overview, Travel and tagged Europe, Madrid, Portugal/Spain 2012 Trip, Spain by Ryan. Bookmark the permalink.